As mentioned in my 'New Year, New Dixie Lou' post, one of my sewing resolutions for 2014 is to make a Chanel style cardigan. I have always loved this iconic jacket and want to make a version that is chic yet something I can depend on to throw over t-shirt and jeans. Anything that makes my trips to Sainsbury's a little less banal, dahlings! 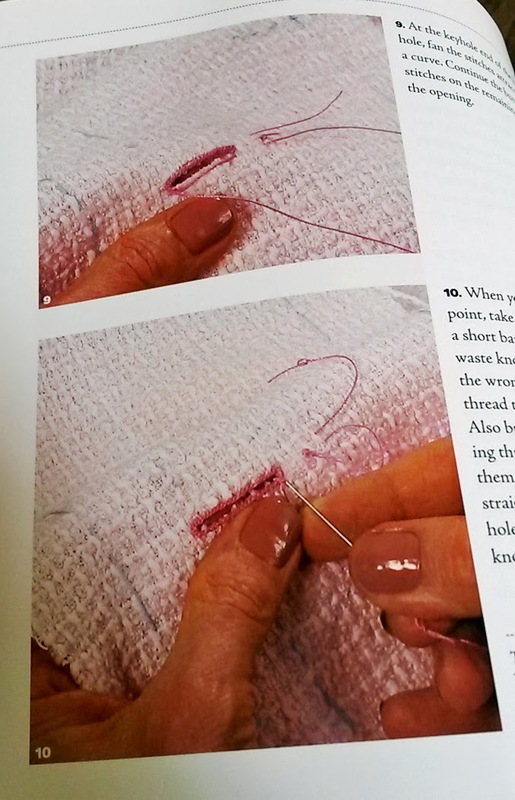 To help me on my way I am using Claire Shaeffer's new book, The Couture Cardigan Jacket. I got this for Christmas and it's a beautiful book. I'm a huge fan of anything that comes from the mouths of Shaeffer and Susan Khalje and have spent a small fortune on their publications. When making my wedding dress, I paid a crazy amount for Khalje's out-of-print Bridal Couture, and it now sits smugly on my shelf barely talking to the other books. Shaeffer's new book really is fantastic. It not only offers an insight into the world of Chanel construction, but also comes with an instructional DVD. I'll be sure to reference it a lot in my project, so you can ascertain if this is something you'd like to buy. But in the meantime, here's some buttonhole goodness from page 56. My first task is to choose a pattern. In her book, Claire suggests her own Vogue pattern, V8804. As I've been wanting to do this project for some time, I had already selected a pattern before I received the book. But, no biggy, I ordered V7975, which I think is pretty similar. I am going to choose option B. I like the length and it has the features Claire suggests are crucial to the Chanel cardi: two-piece sleeve, princess seams, jewel neckline and patch pockets. 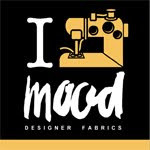 I am going to start on my muslin asap and in the meantime my next Chanel Cardigan post will share my fabric hunt. As a vegetarian, I won't be using traditional wool or boucle, but will be looking to source some synthetic/cotton tweed to do the job. This means my options are limited but they're not entirely rubbish either. I think I may have found something quite special... until next time!